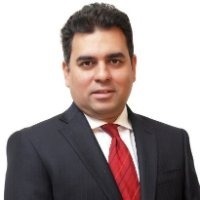 Akshay Chudasama, senior partner in J Sagar Associates (JSA) Mumbai, has now handed in his notice and will be Shardul Amarchand Mangaldas’ new Mumbai managing partner after the end of his notice period according to two authoritative sources. Chudasama, who was first reported to have been in advanced discussions to join Shardul Amarchand last week, has now formally tendered his resignation, which has been circulated to JSA’s partnership several minutes ago. The details of who in Chudasama’s team will move are still being worked out. We have reached out to Shardul Amarchand and Chudasama for comment. Update 15:56: JSA managing partner Berjis Desai commented: “Akshay is leaving JSA to pursue a career with another law firm. He has had a great innings at JSA and we wish him yet another great innings with his new firm. Chudasama was part of JSA’s management committee and has been a partner at JSA since 2005, having joined from AZB & Partners where he was a partner from 2002. He was the managing partner of Lex Inde in Mumbai from 1994 until 2002 and holds an undergraduate in economics from the University of Bombay and a 1994 LLB from the London School of Economics. Economic Laws Practice (ELP) partner Kirat Singh Nagra. Dudhat Pereira & Associates founder and former Udwadia Udeshi partner Radhika Pereira. Surprise, surprise. Let us see who follows..
Game set match SAM Co.
Big catch for SAM. Huge blow to JSA !! what is the compensation we are looking at being offered to a Managing Partner at SAM? Should easily be 8cr + i assume? I am assuming he will be equity and being the Managing Partner of Mumbai would most probably be the highest non family equity. Assuming a profit of 150 200 crores I would not be surprised if the final compensation is considerably higher. I guess around the 12-15cr mark would be more realistic then! This marks the beginning of SAM's explosion countdown. If Gunjan and Jatin are to be given less weightage and the Delhi partners sidelined in the SAM Mumbai Bangalore race. Not sustainable for Shardul to offer equal terms to Akshay and his current lot. Lots of politics and upheavals will follow. So his total book was about 12-15 Cr - How in the world do you expect him to bring it all with him and there is of course the question of matching calibres, performance and longevity. Once the other partners at SAM get to know that the book is so low, surely they will have issues? Dis iz nuthing. Mah book on hw 2 b a cool associ8 iz wurth more dan 1S cr. Diggit? All the best Team AC. SAM's Bombay office will be a fun place to work, with these guys around. Kian, is the team following him to? Ajeeb dasta hai yeh, kahan shuru kahan khatam! Those of us who know the NUJS batch of 2005 will watch with interest if a certain partner follows AC to SAM, and the most interesting mix that would result it. Thanks for bringing it up. Thanks in advance for also telling us about the interesting mix. Thanks. what happens to the team when a Senior Partner resigns & the new firm which he's joining doesn't want to hire his team of Associates, are they accommodated with some other partner or are they asked to leave? what is the norm in the Industry? Associates are at the end of the day retainers & not employed! These guys will be sorely missed at JSA. Very difficult to find so may genuine people. At least SAM will have some good human beings also. All the best to AC and his team. With AC coming in, all the rest of the hires at SAM Mumbai are going to be sidelined. Suddenly SAM already looks like it has a lot of dead weight! Akshay's departure should just not be seen as victory for SAM in its battle with CAM - it has a larger ramification for the Indian legal markets. What a firm - it started as a brilliant firm with great character and dyanamism but somehow it just lost its rhythm specially after Jyoti's retirement. It is beginning of what could be more departures and an imminent split between Delhi and Mumbai (with speculations rife regarding the big guns in Bangalore following Akshay's footsteps to SAM's den). It is a also a lesson for other big firms (AZB, KCO and even CAM and SAM) that when you have very strong individual performers with their own book and client following, it perhaps takes more than just money to keep them within the fold. There are individual prides and egos at play - the game of one upmanship; the head high walk with a swagger of the 'boss', the managing partner, which can bruise the egos of other equally worthy, if not more, candidate for that corner office. Individual aspirations, professional goals, internal respect/position they all play a big role in retaining your senior and top performers. Akshay's move - to my mind - may have more influenced by the freedom and flexibility to do things his way in Mumbai markets and international turf within SAM (between Shardul and Cyril, you must give credit to Shardul in promoting and selling the idea of professionalizing his firm much better than Cyril) as a Regional Managing Partner, something he may not have got within in the near future keeping in view a whole list of worthy candidates once Berjis retires. Such tussle is bound to raise its head when a managing partner position is a seen as a position of power, symbolic of 'ownership' as opposed to 'trusteeship'. Unless these folks realize that in a professional services firm set up, the true synonym of 'aspiration' is 'sacrifice' - something which is very difficult for law firm partners to imbibe - you will firm after firm loosing their top guys - sometime for more money and some time for more autonomy. I hope good sense prevails within JSA or else this could just be start of a tragic end,of a dream firm, perhaps India's only truly democratic firm. It is odd to hear these rants about such a democratic firm. It actually,within even one office, acts like a firm within a firm. So even if a partner is misbehaving ir mistreating an associate not even other senior partners interfere as the thinking is who am I to interfere with his shop. There is no cohesiveness and it is better if it disintegrates with time than just teams coming together and sitting in one builfing . Also there is no dynamism or sense of representing of acting as a brand ambassador for the brand JSA. Most of the lamentation over the JSA's decline is over the profit sharing and that seems to be all. Jyoti may have created a great idea but failed to imbibe that culture in others. Democracy doesn't necessarily work in a law firm or even a company. If law firms are to be treated as any other business entities, then one must understand that an egalitarian democratic model is recipe for disaster and chaos. Considering the gold plated costs for Sam including three offices and overpaid hires his break even will be 100 crore . He won't achieve it for a very long time. If I were an equity partner of Sam I would either ask for the same guarantee or run for my life. Sam will go bust very soon . Also the delhi equity partners like Jatin and gunjan will be entitled to ask for parity with Akshay . They are no less. Hope they have the spine to speak up in the so called professionalised firm . The exodus from okhla is about to start very soon . Scary situation at Sam . Fear on the floor is the best way to describe it. Several resumes. Are in the market already . This could be the worst decision that was made. How do you know the real number? The CAM fanboys are scrabbling around all over the place because CAM's [...] Delhi hires have just been blown out of the water, and shown up CAM's gambit for exactly what it was, a desperate attempt to clock up numbers. CAM cannot unfortunately boast of even a single hire within shouting distance of AC so mythical stories of Okhla exodus, fear on the floor and other garbage. Just like in the legal battle SAM has destroyed CAM in firm-building as well. What exactly do you mean by proving himself.. Did he not prove himself with his own firm?? Did he not prove himself with being a named partner in Zia's firm?? Did he not prove himself by being one of the top rain makers of JSA?? How many times must a man prove himself?? Before you call him a Man??!! Grow up!! .... Have their CVs floating in the market now. Why would anyone with sense leave the professional atmosphere of Jsa and go the cuckoos nest ? Very bad decision! Myopic move -- time will tell and Jyoti will have the last laugh. Why does the CAM list of Delhi Partners does not mention Neeraj Sharma and two other Partners who left with him. LI should also cover the non-partner lateral shifts. Why do no LI lists ever have Niti Paul??? This is the 3rd or 4th time I am pointing it out! She is a lovely woman - please don't leave her out and assume its understood when you write Harry's name! In Delhi its who v Shardul? m astonished to c so many experts here predicting the future of AC... are they having some substance or just a bunch of losers with fat mouth..??? Why are you allowing all the CAM trolls and nothing with which exposes them. In fact the messages are all from [...]! Dunno, seem to be trolls on both sides. If something you wrote didn't get published, it's probably because you wrote using names or obviously identifiable individuals. So one can't refer to two individuals by simply saying one heads the firm and the other is his wife withot mentioning the name of the firm or the name of the husband/wife? We generally moderate comments that imply a comment was written by an identifiable individual or purport to unmask the identity of commenters, or any derogatory comment about an identifiable and specifiable group of individuals. We might not catch all references, but if there's a comment that violates these, please use the report button and we'll moderate it if appropriate. AC has a 60 crore book, mostly blue chip PE and M&A. Be very afraid CAM. if the 60 crore work was going to JSA while being there and assuming 50 crore moves with AC to SAM, its just outside work remaining outside. Surprising, why AC didnt go solo- keep 50% of the equity, mint the 10 crore profit out of the 50 crore revenue himself. Surely it is a win for SAM for doling out a 6-7pc equity (im taking a cue from from other comment, i dont know how much it is) for a 50 crore book which may only grow. CAM wont be directly affected, its not his book going to AC and SAM. I would be really surprised if a discerning client will move away from CAM. And by the way, he is not sitting idle not doing anything. He is building a more sustainable model, where the power centre is manageable. where there wont be any infighting, because no body will have adequate weight to do anything. Bad for democracy, good for the institution. It is clear that the CAM loyalists dont care about democracy coz they have been serving CS well despite having no power within the firm. So they wont care even now. Only concern is that CAM should not dilute quality with random hirings. Will only hurt it bad. 60 crore Book? You clearly do not know how a 'book' works! Whr wud u lyk us 2 pull these figures 4m? Okay - so lets not look at the numbers and get some facts in order. AC has a clout over the Mumbai rich circle. Did you know that his father is a former Mayor and Sheriff of Mumbai and has access to everyone who is anyone in Mumbai. Just google his name and you'll see the Wikipedia pages and numerous biographical content. His mother opened Mumbai's first ever boutique, with the most gracious personalities of that time as her clients. The relationships still continue. His wife is privy to a majority of the page 3 crowd, being a diamond designer. His sister is a National Spokesperson for the BJP. So does it really matter what his book is? He is a major contact man with talent and now the guile and backing of SAM to maximize his revenue earning potential. By Indian law firm standards, 60 crores is a MASSIVE book, and If AC does indeed have a book of that size that will move with him, then that is VERY impressive and an absolute no-brainer for any firm to poach him. If his "portable book" is only a tenth of that number, then hiring him just based on contacts would be a bit of a gamble. Thats all am saying. with that kind of 'book' I can make him partner in any italian firm! BTW, 8% of 60 is 4.8! Now add his fixed drawings of 3.6 to it! Why would he switch then? pagley, as per IT wale jija ji, no TDS applies on partners' drawings! Anybody with news on strategy for Sam Bangalore? Even zia or Haigreve do not have a portable 60 crore book.its pure fantasy to think so. It's at best a 15 to 18 crore book. Of which only about 10 crore will move. Jsa is not exactly sleeping to let it move with him . How smart is it to pay 9 to 10 crore for a 10 crore book is the real question. Apart from the cascading costs to give parity to the delhi equity partners. It's clearly an overpriced acquisition that is going to take a while to make commercial sense. It's a desperate price to pay for access to Mumbai market where Shardul does not have much penetration. Sam really needs to carefully evaluate the backlash in delhi from grossly overpaying lawyers at same level in the rush to get a Mumbai entry. Also knowing Sam nature he will try to take over akshays relationships. And that will be the beginning of the end. His cv will be back in the market in two years is the market prediction. Akshay should guard his relationships well. Have you seen the SAM team in Mumbai? have you seen the CAM team in Delhi? Where exactly is there no expertise? HK chacha may not have such book, but what about kulkarni bhaiya? Breaking news. Sam has poached zia Mody secretary and her husband. She has agreed to bring a 200 crore book with her. did you miss "as his" MOdy and secretary? 250 Crore property gone for 5 Crore!!! Am very inexperienced. No, really. Please explain what this "book" is all about as you guys seem to be talking about and how does it work? Links also appreciated. We are watching and waiting. We see all and will speak when time comes. The Shield says AC's book is 20 cr maximum plus goodwill and contracts.